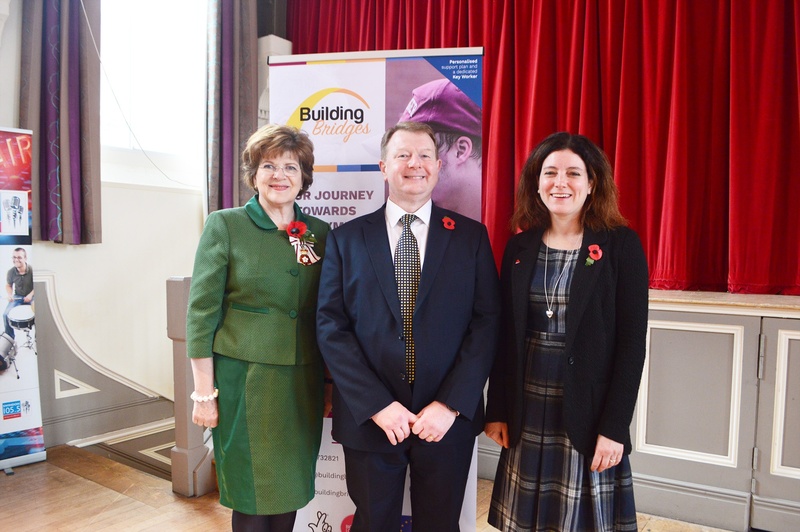 Caption: L to Right: Sarah Troughton, Lord Lieutenant of Wiltshire and President of Community First, Dave Potts, Building Bridges Programme Manager and Lynn Gibson, Chief Executive of Community First at the launch event. There was a fantastic turn out of over 110 people to the Building Bridges Programme launch event – held at the Corn Exchange in Devizes, Wiltshire on the morning of Tuesday 8th November. The purpose of the event was to allow partners involved in delivering the Building Bridges programme, to meet agencies and organisations who may be able to refer potential participants to the programme. 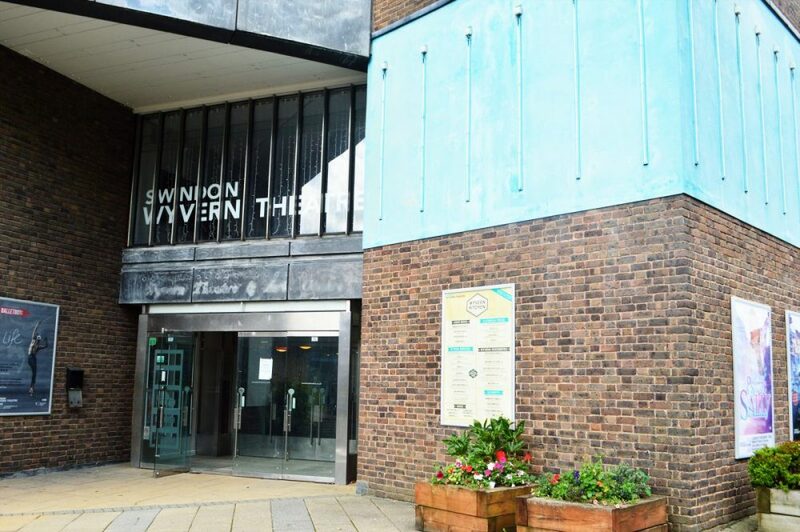 The vibrant event brought together representatives from most of the organisations that are set to support people across Swindon and Wiltshire who face barriers accessing employment or education. The organisations were encouraged to form a ‘market place’ at the event, to set out their plans for delivering this fantastic 3 year programme. Mrs Sarah Troughton, Lord-Lieutenant of Wiltshire and President of Community First kicked off the event with a speech, officially launching the programme – which will run until 2019. The event continued all morning, with many of the organisations involved in delivering the programme relishing the opportunity to meet and chat with the other programme partners, in order to find new ways of working together and to strengthen their support provision. The event also provided the opportunity for individuals and organisations outside the programme to learn more – to understand how to access the support the programme is offering and to meet the people involved in delivering it. The Building Bridges Programme is led by Community First, Swindon and Wiltshire’s Rural Community Council. Community First set up the launch event and the Building Bridges Programme Team are running a series of workshops with partner organisations, in order to begin their ongoing support to the 40 plus local organisations delivering the programme. 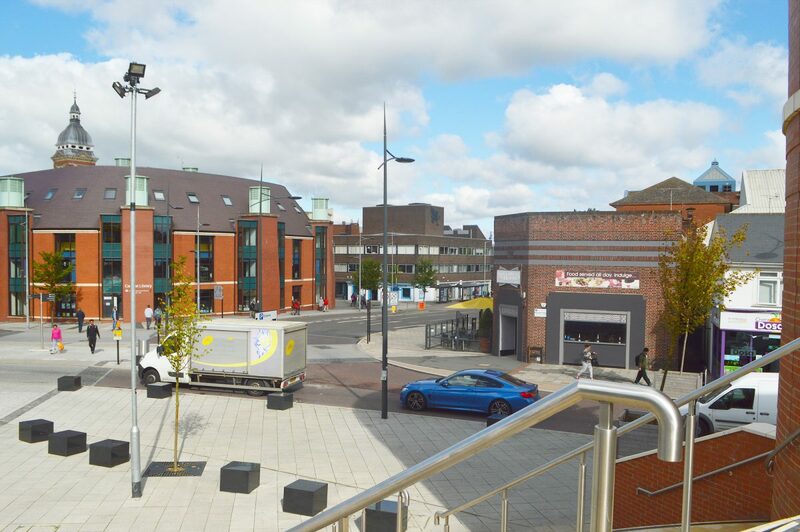 The programme is to receive £3.9M local funding as part of the national Building Better Opportunities (BBO) programme, which is jointly funded by the Big Lottery Fund and the European Social Fund. 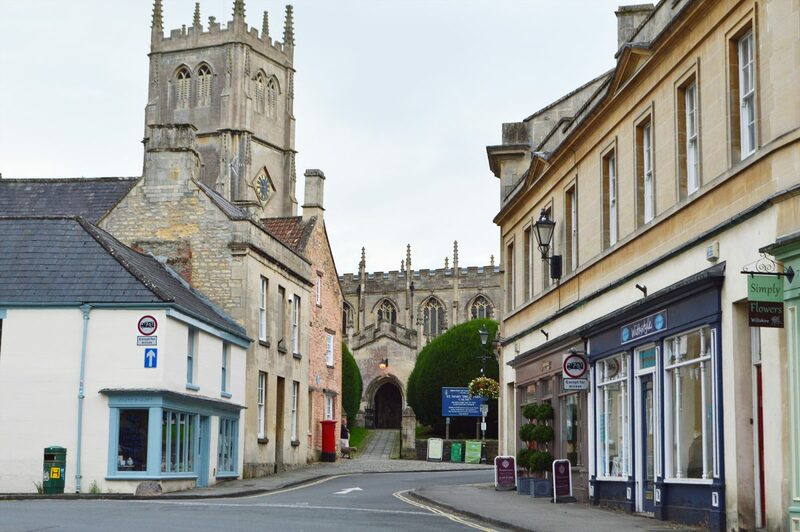 The funding forms part of the European Structural and Investment Fund and is co-ordinated locally by the Swindon & Wiltshire Local Enterprise Partnership. If you would like to find out more about how to access the Building Bridges Programme, please visit the Take Part page.